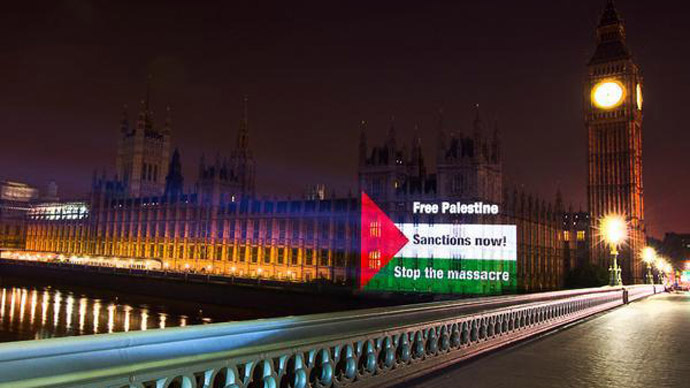 WESTMINSTER, United Kingdom – The British Parliament has tonight voted, in a non-binding motion, to recognise the State of Palestine. The decision, to recognise “A State of Palestine alongside that of a State of Israel as part of a two state solution” was hailed by the socialist MP Jeremy Corbyn as “emphatic”, although the non-binding, backbench debate has no impact on British foreign policy. The Ayes took the vote by 274 to just 12 against. The incident will be of some embarrassment to Britain’s Foreign Office and pro-Israel community, who refuse to recognise a State of Palestine before any two-state solution concludes. It may also strain relations between the United Kingdom and the United States, as it presents an affront to the long-stated policies developed by the two nations. The debate in the Commons chamber was littered with what many would recognise as untruths, or half-truths spun by overtly anti-Israel MPs. In fact, the entire debate was sponsored and proposed by Grahame Morris MP, a man who has likened the Israeli flag to that of the Nazis. And Conservatives in the chamber also failed to support Israel. The notionally conservative Alan Duncan MP spoke about Israel with vitriol, gesticulating wildly during his speech. Sir Richard Ottaway, a long-standing friend of Israel said that he had become frustrated with the country, and would not vote against the motion out of spite. One Conservative MP, Andrew Bridgen, even hurled the accusation at the United States of being in hoc to the “Jewish Lobby” – a known anti-Semitic slur. But pro-Israel speeches were delivered by Matthew Offord, Robert Halfon, and UKIP’s new Member of Parliament who was sworn in today, Douglas Carswell. Alas it was to no avail as the vote ended 274 in favour of the recognition of a State of Palestine, versus just 12 against. It is known that Labour front benchers were advised to stay away from the vote, and the chamber was half empty as most Conservative MPs stayed away, refusing to recognise the motion in front of the house. The vote is purely a symbolic one, however. It is expected by pro-Israel activists and MPs that the world’s media will fail to reflect this fact in their reporting.